The-PerfectShape.com team would like to thank you again for devoting your time to visiting and reading this blog. We are trying to provide you with the best to the point and informative content on the web. We will continue our efforts in the future and we will try to be above the average of normal informative blogs in terms of information provided, writing style and interaction with our readers. 1. 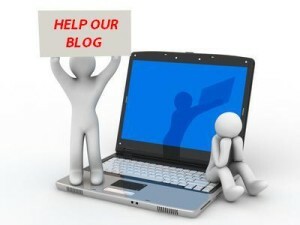 Please feel free to email us any of your thoughts regarding this blog and its content. 2. Share your opinion by leaving comments and interacting with the other readers. 3. If you would like to make a donation to support the further development of this blog, please use the “DONATE” button on the right. 4. Tell your friends and colleagues if you enjoyed an article on this blog. You can also link to The-PerfectShape or its articles from your site. 5. Light the way for us; if you are interested in a certain topic or article, and would like to read more about it on our blog, just let us know. Also, if you researched a certain topic and have interesting information or you have already an article related to the topics we approach, please fell free to send them too. You can contribute with any posts, articles or interesting information that you want to share with the other The-PerfectShape readers. Just email them to us, and we will let you know when your writing will be published on the site. We believe that it’s impossible to grow and improve a blog, without the contribution and input of its readers. So, even the smallest contribution will be appreciated. Whether it’s just a comment, you recommending our blog to your friends, or even content contribution, We are very grateful for each feedback. Remember, on The-PerfectShape blog, we always “start with you“.